During my first year at Duke, one of my dear friends (David) took a trip to China with a Duke vocal group. 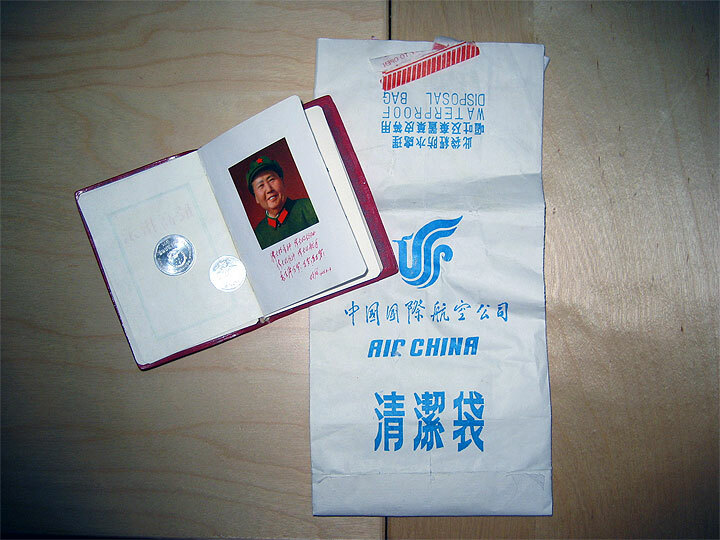 He brought me back these souvenirs: Barf bag from Air China, my own personal little red book, and some Chinese currency. He also crocheted me my favorite hat ever on the airplane trip over there. I wore that hat religiously until I lost it in a taxi cab in Philadelphia late one night (perhaps after a night of drinking & dancing). It was turquoise, bright orange, and sea green; I miss it so.